Are you tired of bragging yet? With the incredible DEEP freeze in over 75% of the country, it is wonderful that Arizona is still basking in the sunshine! I truly love living in the Valley of the Sun! 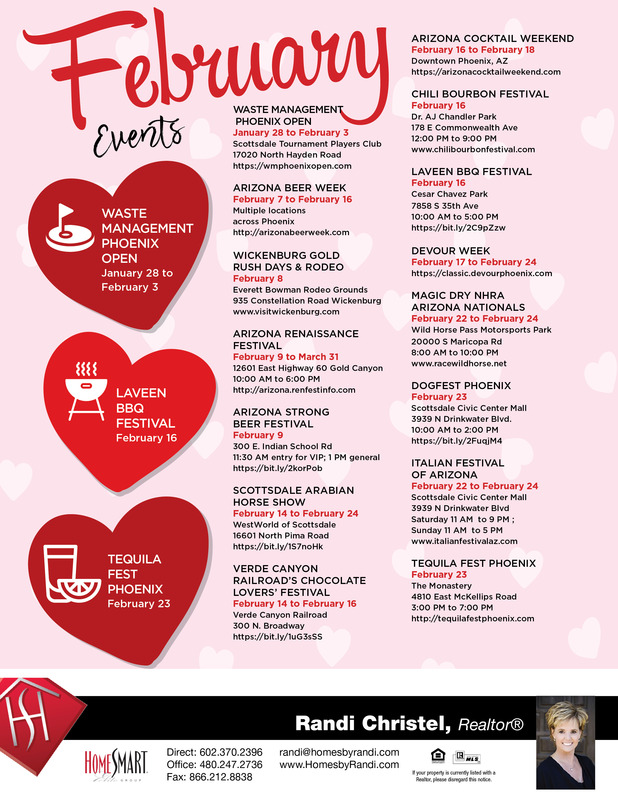 Take a look at the Things to do in Arizona for February, there is absolutely something for everyone. The one that caught my attention was the Verde Canyon Railroad’s Chocolate Lovers’ Festival! Chocolate, beautiful views, train ride . . . it all sounds delightful! I hope you enjoy this month’s edition of Things to Do in Arizona. Get a hold of me if you are ready to call Arizona home, I would love to show you around our great town.